What If your customer got lost before they found your website? So you have a website. So do 273 Million Others. • Are you visible to your target viewers? • Is your site accessible and easily within their reach? • Are you generating sufficient revenue online, if any? Netcraft Jan 2011 Web Server Survey reports that there are now 273 million Active websites in the world today. Don’t let your just add to the statistic. Let it work for you! Search engine optimization is the process of making it as easy as possible for search engines to index your website and to ensure that it is associated with the right keywords, terms or phases; those with which you want to be associated and those that result in the most conversions at your site (conversions referring to sales, subscriptions, enquiries or any other goals that you have defined). So that when someone searches for a particular keyword or phrase, your website will be listed as near to the top of the page as possible. 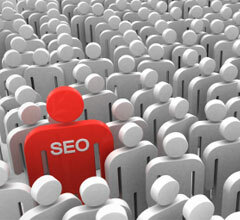 SEO is a vital component in every successful web strategy and works for any industry , segment or niche. Our experts use natural optimization techniques to ensure that your website attracts targeted web traffic to increase revenue and widen brand reach. SGHost SEO is a zero-risk investment because we offer 100% money back guarantee * if your website fails to appear after the optimization, or drops out of the agreed minimum rank. Email us at sales@sghost.com for a FREE, non-obligatory website analysis today. Just tell us your web address and we’ll suggest keywords that would attract the most visitors to your website.